It’s been a while since we caught up over a cup of tea, well that’s what I like to think you are doing when you read this kind of post. 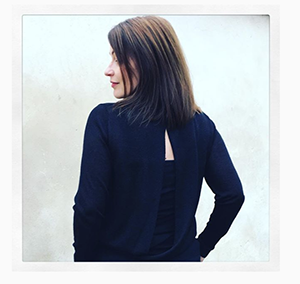 It’s been a busy few months on the blog; one of my favourite posts so far this year is my interview with Emma, it was interesting to see how the topic of eating disorders really engaged Loved by Lizzi fans both via the blog and on social media – I do hope for those of you that shown an interest you’ve found Emma’s website or books useful. Talking of social media, you know I am a huge fan of Instagram (a life in pictures is one of the best way to keep the memories alive) however I’ve also found it’s a great way to interact with brands, and book authors, particularly on a Sunday morning (I imagine them to be relaxing at home and finally having five minutes to actually absorb what comments they do get). 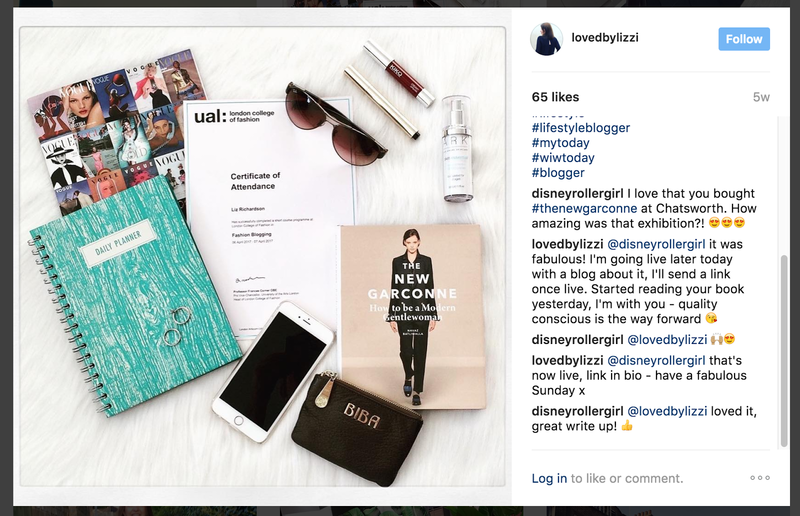 I’m currently reading The New Garconne (How to be a Modern Gentlewoman) by Navaz Batliwalla (a.k.a Disney Roller Girl), and Navaz has kindly commented on my Instagram posts a couple of times. This has made my book extra special, and now memorable for me. I can highly recommend this book, not for fashionistas but stylistas (if that’s a word??!!). The book explains how to achieve the style of today’s New Garconne (and buying behaviours). 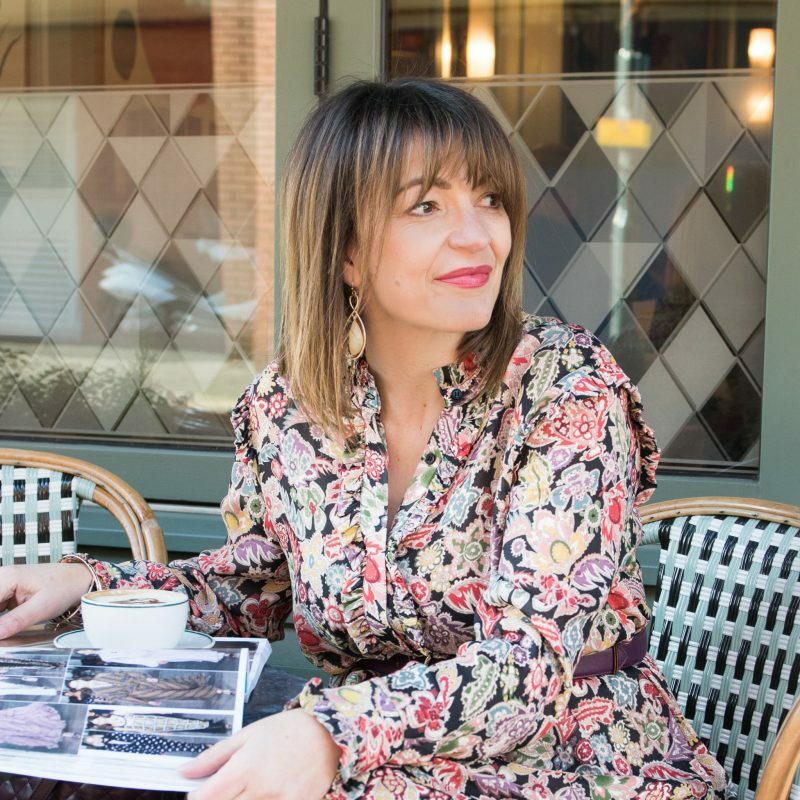 It’s advocated by fourteen modern women who champion this look; you’ll be familiar with ‘1970’ Bella Freud and potentially the accessories editor, Donna Wallace, of Elle Magazine, the others I wasn’t too aware of but they were all very interesting women. The book concludes with a style edit of what Navaz recommends you purchase (and where to) to start achieving this look. March and April were a busy time for fashion exhibitions with A Passion for Fashion and House Style, I really enjoyed them both! There are still a few more that I plan to visit over the next few months, so grab a girlfriend and some lunch money and treat yourself to a fabulous day out. 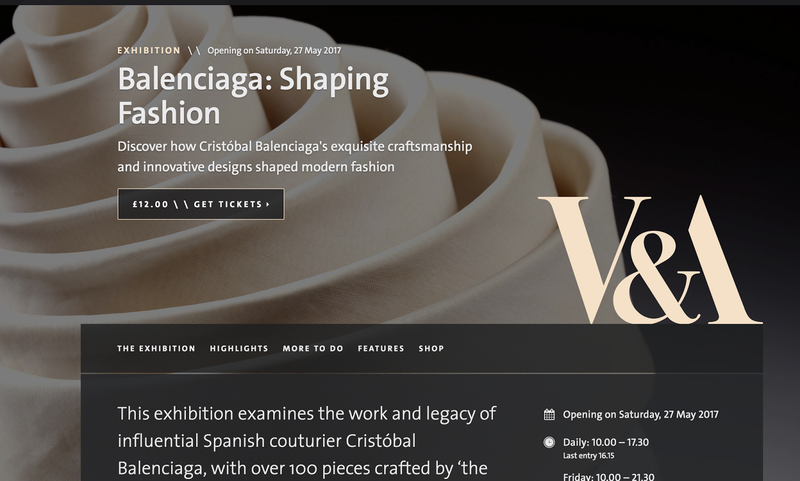 Balenciaga: Shaping Fashion will open at the V&A from Saturday 27th May, this exhibition studies the life of Cristóbal Balenciaga his work and how his designs shaped modern fashion. To find out more, click here. Diana: Her Fashion Story is already open at Kensington Palace, and you’ve got plenty of time as it’s on until 2018. As a child, I was obsessed with Diana, I was five when she married and I made a scrap book of all the newspaper and magazine cuttings from her wedding, which I still have. Her fashion style when she was a young Diana to Charles was very odd (I didn’t really like it) but after her divorce, she became her own woman, and it’s that style that I prefer and admire to this day. Read more here. London Fashion Week Festival – tickets have now gone on sale. I don’t think I’m going to get a chance to go to this as the dates are not really working for me, 21st to the 24th September. Not all information has been released yet, but you can purchase your package, so you’ll need to check their site for more details. And finally I was sad, but not surprised, to hear that Lucinda Chambers, fashion director for British Vogue, is to step down. As soon as Alexandra Shulman made her announcement to leave as Editor-in-Chief, I thought this may be the case. 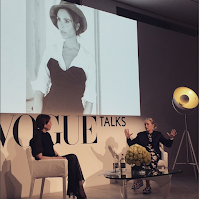 This photo is from my Instagram taken two years ago now, when I specifically went to Vogue Festival to a interview with Lucinda about how she got started in fashion – her history with Vogue is legendary but my one take from it all was ‘anything is possible if you put the hard work in’. You can read Vogue’s announcement here. Coming up soon on the blog there will be more interviews, outfit posts and my popular Let’s chat posts, but in the meantime you can follow my daily updates on either Facebook, Instagram (obviously) or on Twitter. 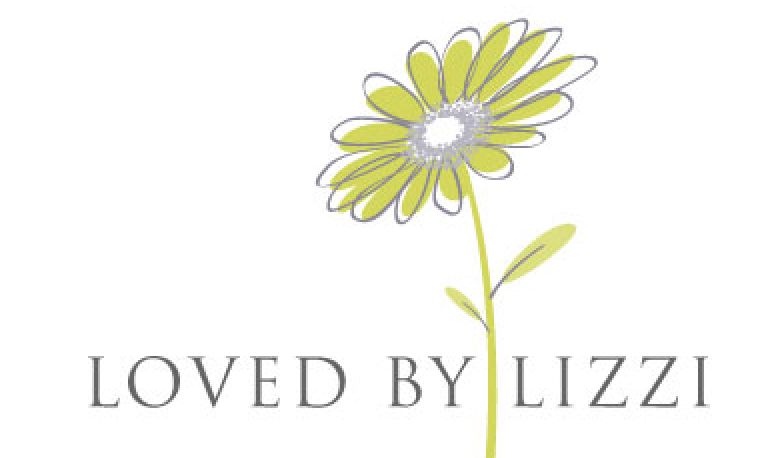 The post 5 mins for… appeared on Loved by Lizzi first.